While the world’s eyes are focused on Syria, Russia, Ukraine, and North Korea; there is another – much more tense – fight between two nuclear powers that is getting far too little attention. The world’s two most populous nations, China and India, have been engaged in a border dispute for decades but in recent months it has flared once again with a Chinese Ministry of Defense official now warning explicitly that Indian troops must leave the contested Doklam area if they do not want war. In addition to ground troops, a Chinese carrier, Liaoning-CV-16, was spotted just days ago at the Syrian port of Tartus. As America retreats from the Middle East and burns bridges with its once-regional allies, its enemies are filling in the vacuum and playing for keeps. The last time China heavily beefed up security was during the Korean war, but ended up following through as PLA troops intervened with human wave tactics aimed at literally pushing UN and American forces back into the Pacific Ocean. Twenty-two vessels, 20 aircraft, 40 armored vehicles and 500 marines from Russia and China have begun the active phase of the ‘Joint Sea 2015 II’ drills in the Sea of Japan off the coast of Russian Far Eastern city of Vladivostok. “During the active phase of the maritime maneuvers to last till August 27, the sailors work out the issues of join anti-sabotage, anti-submarine, anti-vessel and anti-aircraft defense. 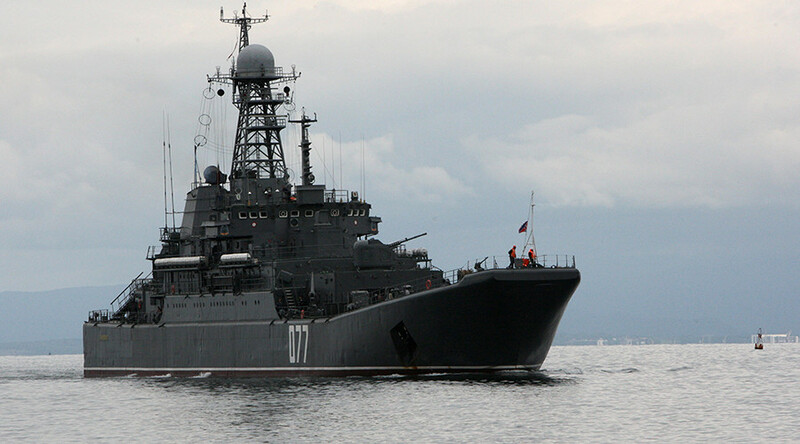 Besides that there’ll be gunnery drills with different types of surface, underwater and aerial targets,” Roman Martov, Russia’s Eastern Military District spokesman, said as cited by TASS. Newly published satellite images show that China is quickly reclaiming land around a submerged reef within what the Philippines says is its exclusive economic zone, with several dredgers in operation and seawalls built. What people don’t realize is that this new law can likely be widely interpreted to justify an attack on any country. It will all naturally depend on how ‘terrorism’ is defined within. Nations in the vicinity of China, espcially Taiwan, should be giving special attention to developments like this. China was weighing up a proposal to let its troops head overseas on counterterrorism missions, analysts said, citing military officials attending a security forum in Beijing last week. The draft of the country’s first counterterrorism law includes clauses that would authorise the army and the paramilitary police to carry out counterterrorism missions abroad if the deployment had the consent of the countries involved, Chinese delegates told the Xiangshan Forum last week, according to analysts at the regional security meeting. Brisbane: The Ministry of External Affairs on Saturday downplayed reports of Chinese troops training Pakistan Army personnel right across the India-Pakistan border in Jammu and Kashmir. Hundreds of Indian and Chinese troops have dug into positions on a high Himalayan plateau, leading India’s army chief to cancel a foreign trip and monitor a standoff that underscores deep differences between the Asian giants as they seek closer ties. Military officials in New Delhi and Kashmir said on Tuesday that Chinese troops set up a camp about 3 km (2 miles) into territory claimed by India in the Chumar region of the Ladakh plateau more than a week ago. India is building a new 62-billion-rupee (US$1.02 billion) mountain strike corps to counter China along the China-India border in the northeastern part of the country, according to a report from the New Delhi-based Hindustan Times. Much like the Gonkard area, the Despang plain is an area which was trespassed on is also possibly being scouted and surveyed as a possible PLAA airfield. It would give them first-strike capability over India and put them further into submission. It’s a very high altitude location which would be hard to strike for most planes. With both India and China in dispute over a ‘grey area’ of territory both claim to own, China has been posturing and leveraging its aggressiveness towards its neighbor because it smells weakness in India which is showing it doesn’t know how to handle the situation. 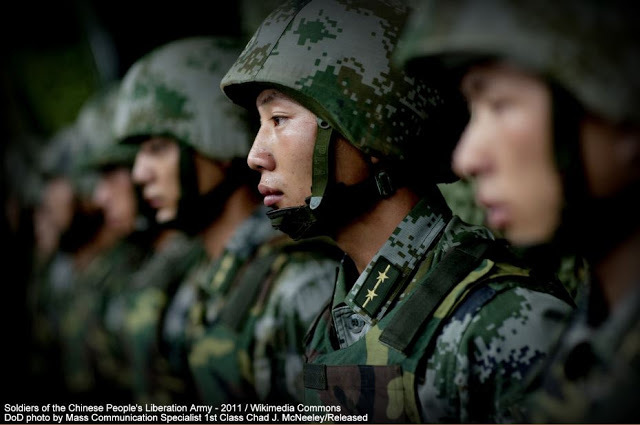 New Delhi/Leh, Aug 19: Set aside the positive bilateral relations between China and India, the Chinese troops have started infiltrating in the Indian territory yet again. This time they have entered 25 to 30 km deep into Indian territory in Burtse area of North Ladakh, officials sources said. This is the very place where they had established their tents last year, which led to a tense 3-week stand-off.